Of all the new putters that I saw and tested at this January’s PGA Merchandise Show in Orlando, there was one that was different. The weighting. The balance. The feel. Even the look of it said: “I sink putts.” The putter was the Rife Legend Z, a variation on Rife’s very popular Two-Bar models and one of the offerings in the company’s 2013 Vault 001 series. 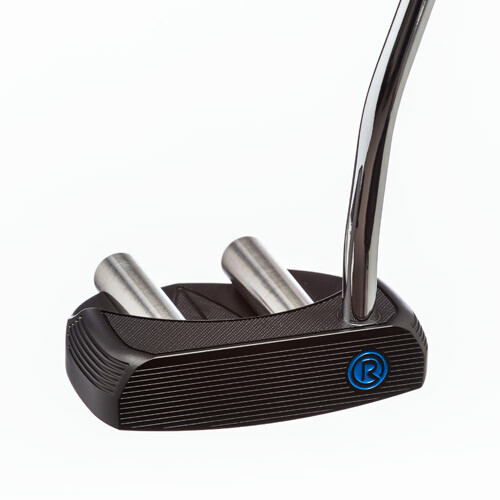 Rife is well known for its unique putter faces, which all feature “Roll Groove” technology – grooved faces that help get the ball rolling more quickly. According to Rife, this milled face design and the thin polymer backing behind it help grip, hold and then release the ball into an immediate forward roll without any skidding or skipping. According to me, it sinks putts. I’ve been using this new face-balanced, mallet-style Rife putter for a month now. I’d intended just to test it for a few rounds, but now, having done so, I wouldn’t take it out of my bag at gunpoint. This club swings beautifully. The face stays square with very little effort. And its aluminum face offers great feel and excellent feedback and makes so many putts that it could be made of obsidian for all that I care. The Two-Bar system makes this putter easy to align, too. The two bars create an optical “railroad track” effect that helps you identify the correct path for the putter to follow as soon as you line up the putt. It becomes second nature to both line up the putt and swing the putter along the correct path. I’m not a great short putter, but after some practice with this club, my confidence grew quickly. Another nice feature of the Rife Legend Z is that it offers an adjustable weighting system. Inside those two bars are weights that can changed – either both together or one at a time. On slower greens, I like a heavier putter. On faster greens, a lighter one. With this system, I get both in one club. Rife putters are number-one on the Champions Tour, and it didn’t take me long to understand why. And with 14 different models in Rife’s new Vault 001 series, ranging from blades to mallets with several other variations in between and a choice of finishes, you’ll easily find one that fits your eye. This club does everything a putter’s supposed to do. 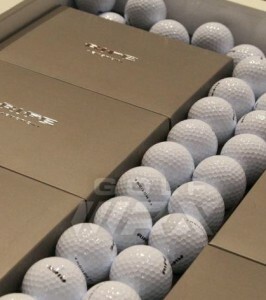 It sinks putts. In other Rife news, its parent company, Innovex Golf, has rebranded its premium Innovex golf balls and given them the Rife name. The V-Motion three-piece tour ball has a cast urethane cover and was a Golf Digest Hot List award-winner in 2011; now both it and the Surlyn-covered E-Motion ball carry the Rife name. I’ve only played the V-Motion ball, but I found it to be every bit the equal of other premium balls on the market – and at a significantly lower price. It produced amazingly straight and long carries with the driver and offered excellent feel with irons and around/on the greens. Unless you just plain like paying more for things, this ball can easily be substituted for brands costing almost twice as much. Seriously. Rather than replace the head if just buy a new Rife. That way, you’ll have two putters to love.